Often prescribed to treat mood and anxiety disorders, serotonin and norepinephrine reuptake inhibitors are one of the most common treatment options for panic disorder. What Are Serotonin and Norepinephrine Reuptake Inhibitors? Serotonin and norepinephrine reuptake inhibitors (SNRIs) are one class of antidepressant medications. Some of the most common types of SNRIs include Effexor (venlafaxine), Cymbalta (duloxetine), and Pristiq (desvenlafaxine). These antidepressants are most frequently prescribed to treat mood disorders, such as major depressive disorder and bipolar disorder. SNRIs have also been found to safely and successfully treat anxiety disorders, including panic disorder, obsessive-compulsive disorder (OCD), social anxiety disorder, generalized anxiety disorder ( GAD), and posttraumatic stress disorder (PTSD). Additionally, SSNRIs can also effectively treat persistent pain caused by certain conditions, such as fibromyalgia and chronic fatigue syndrome. The human brain contains hundreds of naturally occurring chemical messengers called neurotransmitters. These messengers are responsible for directing information throughout the brain. It is believed that if one or more of these neurotransmitters become unbalanced, it can cause the person to develop a mood or anxiety disorder. The neurotransmitters serotonin and norepinephrine are thought to be particularly linked to the occurrence of panic disorder. Both the neurotransmitters play a role in regulating certain functions and emotions that can affect the onset of this condition. Serotonin is connected to the regulation of mood and sleep. Norepinephrine is responsible for how the person reacts to stress and anxiety and is associated with the fight-or-flight response. SNRIs work to influence both serotonin and norepinephrine by preventing a person’s brain cells from rapidly absorbing these neurotransmitters. By stabilizing these neurotransmitters, SNRIs can help improve a person’s mood, reduce feelings of anxiety, and help alleviate panic attacks. SNRIs are sometimes confused with selective serotonin reuptake inhibitors (SSRIs), which are similarly antidepressants, but only work to affect serotonin. These side effects should gradually cease over time. Consult your doctor if side effects don’t improve or worsen. It is possible to experience a serious drug allergy from SNRIs. Contact your pharmacy or doctor immediately if you are experiencing the symptoms of an allergic drug interaction, such as swelling of the mouth, face, or tongue, inability to take deep breaths, choking sensations, rash, and hives. Black Box Warning: In 2007, the United States Food and Drug Administration (FDA) issued an advisory known as a black box warning. Through this warning, the FDA cautioned that the use of SNRIs and other antidepressant medications may lead to heightened suicidal thoughts and actions. Extra care and monitoring should be taken for children, adolescents, and young adults taking these medications, as they are at higher risk for experiencing these adverse side effects. 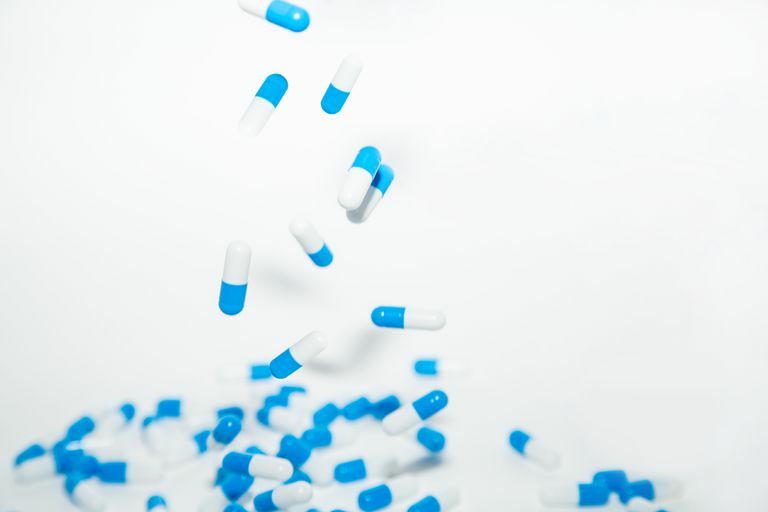 Drug Interactions: Certain medications should not be taken along with SNRIs. Keep your doctor up-to-date with any prescribed and over-the-counter medications you are taking. Alcohol Consumption: Consuming alcohol can elevate the toxicity of SNRIs, which can impact the effectiveness of these antidepressant medications. Special Populations: SNRIs can be passed from mother to child during pregnancy or while nursing. If you are pregnant or nursing, discuss the potential risks of taking SNRIs with your doctor. Older adults are often more susceptible to experiencing the side effects of SNRIs. If you are an older adult taking SNRIs, talk to your doctor about potential side effects. Dell'Osso, B., Buoli, M., Baldwin, D. S., & Altamura, A. (2010). Serotonin Nnorepinephrine Reuptake Inhibitors (SNRIs) in Anxiety Disorders: A Comprehensive Review of Their Clinical Efficacy. Human Psychopharmacology: Clinical and Experimental, 25(1), 17-29. Gorman, J. M., & Kent, J. M. (1999). SSRIs and SNRIs: Broad Spectrum of Efficacy Beyond Major Depression. Assessing Antidepressant Efficacy: A Reexamination., Jan 1998, Phoenix, AZ, US. Physicians Postgraduate Press. Silverman, Harold M. (2010). The Pill Book. 14th ed. New York, NY: Bantam Books.